Cub Scout Day Camp is fun and adventure with a purpose. 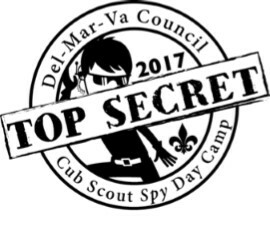 The Del-Mar-Va Council offers Day Camp programs at several locations throughout the peninsula. Each session runs Monday-Friday. Two of the sites offer multiple weeks of program while others are available for only one week. The camp activities are thematic, and the themes change every year. The camps are under the supervision of trained leadership and seasonal staff members. Each camp is evaluated annually to insure that the National Standards issued by the Boy Scouts of America for the operation of Cub Scout Day Camp are being upheld. The program provides fun and adventure in an outdoor setting. Emphasis is placed on new experiences difficult to obtain in the usual indoor den meeting atmosphere. Day Camp encourages the participation of adult Den and Pack leaders. The daytime outdoor program could include cooking, nature, and aquatics, shooting sports, songs, skits, crafts and scout skills. The daily programs focus on Cub Scout achievements, electives, and Webelos activities as they relate to the outdoor program. Participation in Day Camp can help your pack achieve the National Summertime Pack Award. Interested in volunteering at one of our Day Camps? register for 1,2,3 or all 4 weeks! register for 1,2,3, or all 4 weeks!